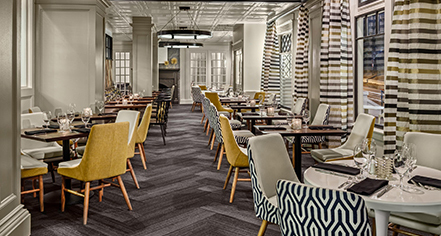 Guests savor The Partridge Inn's outstanding legacy of culinary excellence at the newly redesigned P.I. Bar and Grill, which showcases innovative, contemporary Southern cuisine, with dishes ranging from creative small plates to decadent entrees and desserts. 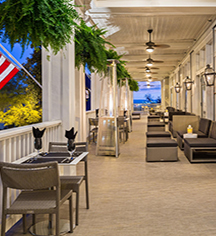 Discover their famous "Best of Augusta" Sunday Brunch or enjoy live music while sipping expertly created cocktails in the bar. Room service is available for in-room dining. Monday - Friday, 6:30 a.m. - 10 p.m.
Saturday & Sunday, 7 a.m. - 10 p.m.